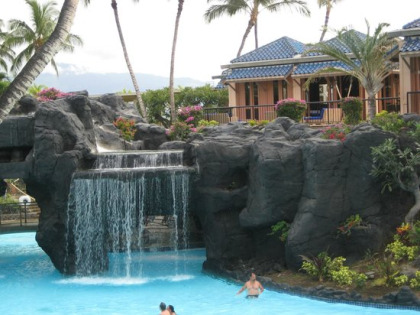 Known for its perpetually sunny skies, the Hilton Grand Vacations Club at Kings' Land stands on a 112-acre Hawaiian oasis, making it one of the most desirable vacation locations in the world. 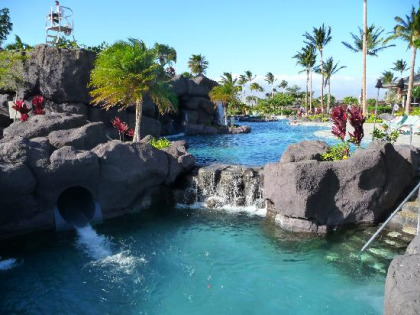 The resort is situated within an ancient lava field and boasts spectacular views of the surrounding Waikoloa landscape. 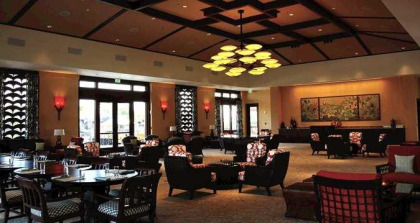 Whether you are interested in renting or buying a timeshare, the Hilton Grand Vacations Club at Kings' Land combines this dramatic landscape with world-class amenities, making it a flawless destination to relax and indulge. For many, a vacation in Hawaii wouldn’t be complete without a round of golf. Fortunately, Kings’ Land is home to two of Hawaii’s most revered golf courses: the Beach Course and the Kings’ Course. For active timesharers, hit the Hilton fitness center, complete with daily group glasses and Precor equipment. Getting in touch with your inner child isn’t hard with the resort’s 20,000 square foot super pool that includes a lazy river, several hot tubs, a serenity section, four slides, children’s beach and water activities area. If it is impossible to leave business at home, Kings’ Land has a state-of-the-art business center to help you get in, take care of tasks and back out enjoying the sun. Grabbing a bite to eat or relaxing with a frosty drink couldn’t be easier with the Hilton Kings’ Land Bistro & Lounge and poolside bar. Daily, the bistro serves up an assortment of pastries and breads for breakfast followed by an all-day menu of salads, pizzas, burgers and sandwiches. At the Kings’ Land Pool Bar, vacationers can enjoy locally inspired fare that perfectly blends Hawaiian flavors with South Pacific touches. The bar has a 60-inch plasma TV and hand carved furniture, making it the ideal spot to watch the game. 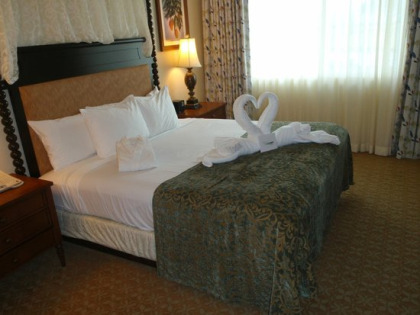 Accommodations at Hilton Kings' Land are available as spacious one, two and three bedroom suites. 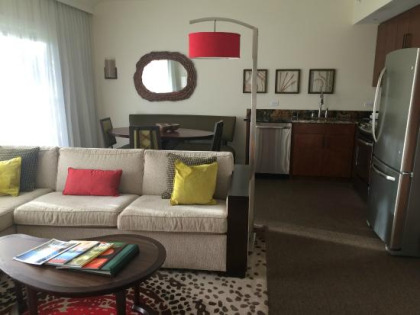 Guests can choose from a variety of floor plans. One of the most standout features of these suites is the private lanais, where you can enjoy the afternoon breeze or take in the sunset. Suites are designed to be your home away from home; they come equipped with a full kitchen, washer and dryer, and high-speed wireless Internet access. For families with children, the staff at the Hilton Grand Vacations Club at Kings' Land offers a daily children’s club, which has a variety of daily drop-in activities, so chose one or several to keep your kids active and entertained. 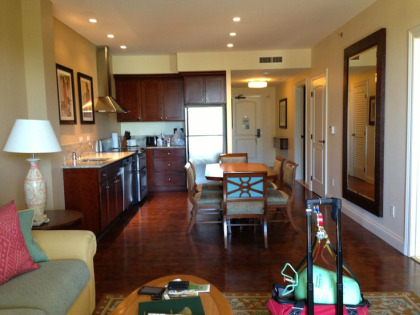 Contact Hilton Grand Vacations Club at Kings' Land Specialist Today! 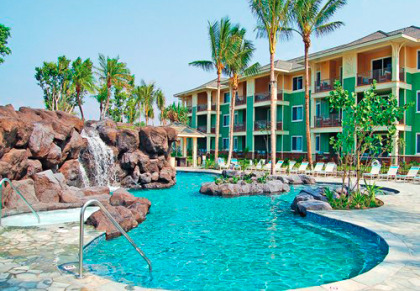 The Hilton properties are awesome, and the Kingsland Resort Properties are the quintessential vacation destination. We could not get enough of all the outdoor activities to include sightseeing, snorkeling, diving, dining, golfing, and all around perfect vacationing experiences. 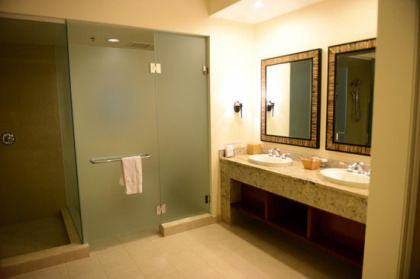 The condominium is extremely well appointed and the staff at the Kingsland Vacations Properties are experienced in working with property owners looking for elite experience and amenities. For those looking for the most valuable platinum experience, this vacation property centers on the Christmas Holiday week. So opening those special expressions between family and friends in this tropical paradise makes the holiday even more memorable. 2nd visit to the resort. It was a great time in Oct to come to the 'Big Island'. The Ironman event had just finished. The room was perfect and the golf course was a welcome sight every morning. The service was welcoming, The pools a welcome sight to enjoy. Sun and fun on the local beaches. We never eat in the same place. So many great place to eat the local at the favorites.